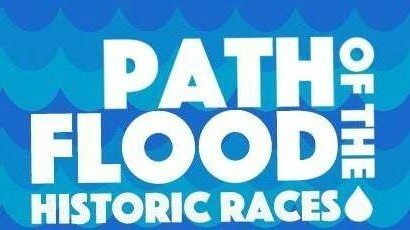 A Flood of Runners is returning to Johnstown, PA for the 4th year of the Path of the Flood Historic Races! Experience the Path of the historic 1889 Johnstown Flood in its entirety with the half marathon or in small droplets through the 5K or 12K races. See the resiliency of the communities of South Fork, Mineral Point, the boroughs and the City of Johnstown. Run through Staple Bend Tunnel, the first railroad tunnel in the United States. Finish at the Old Stone Bridge, which still stands after stopping the majority of the flood’s energy. Our hybrid road/rail trail course beckons you to be a part of history once again! This year’s race is hosted in partnership by the Johnstown Area Heritage Association and the Cambria County Conservation & Recreation Authority. All proceeds from the 2017 Path of The Flood Historic Races will benefit the Johnstown Area Heritage Association and the CCCRA Friends of the Trails program, a program which exists to enhance the Cambria County trails. -All participants who register before May 6 are guaranteed a high quality t-shirt, a commemorative pint glass, and a commemorative medal. – Free parking provided near the race finish area. – Bus package available for spectators of half marathon runners. – Due to the logistics of busing runners to their respective start areas, there will be NO race day registration for 12K and half marathon distances. Please register by May 20th! *If you register AFTER May 6, you are NOT guaranteed a t-shirt, medal, or pint glass. This is due to our need to place orders for premiums by May 6.